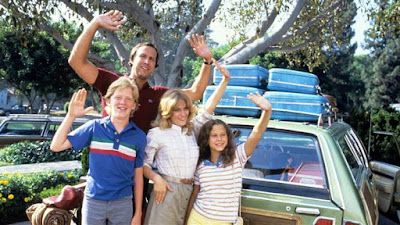 Jared Unzipped: The 'National Lampoon's Vacation' Series And My Siblings. The 'National Lampoon's Vacation' Series And My Siblings. My brother James made a comment earlier today concerning the link between the film National Lampoon's Vacation and my other brother Joshua. Essentially, he asserted that Clark Griswold and Joshua were symbolically linked. A-ha! A light bulb went off in my head. There are four Vacation films and four Manning siblings. Perhaps we're all theoretically linked to one of the films. Let's analyze the four films and go from there, shall we? National Lampoon's Vacation -- A well-meaning family man, Clark Griswold, wants to give his wife and kids the classic road-trip vacation they deserve. Come hell or high water, he overcomes every hurdle placed before him -- losing their money, getting lost in the desert, a dead body, etc. Even a closed theme park (Walley World), won't keep his family from completing their vacation. One BB Gun and a SWAT Team later, Clark delivers what he promised -- a vacation they would never forget. Vacation is all about having a no quit attitude. No matter what, Clark will deliver as promised. To sum the film up in one word... determination. 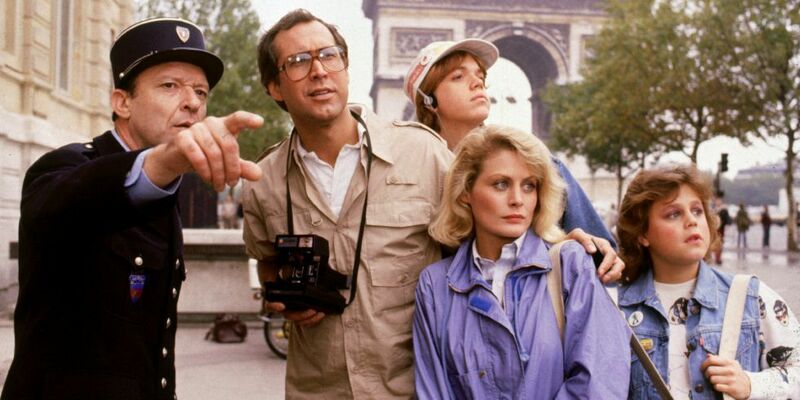 National Lampoon's European Vacation -- After winning an all-expense paid vacation to Europe on an absurd and degrading game show, the Griswold family proceeds to endure one dopey, goofy experience after another. In England, Clark continuously drives on the wrong side of the road and causes major problems, even getting himself stuck in a roundabout for hours. He also manages to knock over Stonehenge and incite a riot at a German folk dance festival. The whole film is driven by a foundation of silliness and folly, all at the expense of the Griswolds as stereotypical American tourists creating havoc for a wide swathe of unsuspecting Europeans. To sum the film up in one word... happiness. National Lampoon's Christmas Vacation -- With the holidays upon them, Clark Griswold desperately wants his family to have an old-fashioned, traditional Christmas. Yet, his ineptness continues to cause problems for everyone. The trouble begins with a frigid trek into a snowy forest for a Christmas tree, but somehow forgetting to bring an ax or saw to cut it down. Before long, Clark is hosting his entire extended family in his home, which he's painstakingly covered in thousands of holiday lights. After much trial and error, he finally gets the lights to work, which nearly sends the entire city of Chicago into a blackout. Things continue to spiral out of control, with the final nail in the proverbial coffin being the news that Clark's highly anticipated monetary Christmas bonus is nothing more than a membership in the "Jelly of the Month" club. Upon having his boss kidnapped and enduring another encounter with a SWAT Team, Clark finally realizes that he's had the Christmas vacation he set out to have. No matter how bad things seemed to get, there was always faith in a bright outcome. To sum the film up in one word... hope. Vegas Vacation -- The oddball film in the series not linked to National Lampoon, this outing sees the Griswolds take a high-rolling trip to Las Vegas. What starts out as a family vacation quickly spins out of control. The four Griswolds soon parts ways, with no sense of family at all. Even worse, Clark manages to gamble away their entire savings, with nothing to show for it. Wife Ellen is seduced by Wayne Newton. Son Rusty becomes a card shark with a fake alias. Daughter Audrey rapidly falls into the seedy underbelly of the city by attempting to become an exotic dancer. Yet, Clark realizes the error of his ways. It was never about the vacation or the money; it was about keeping his family together and spending time with them. In a last-ditched effort to recover their money, Clark spends his remaining two dollars on a keno ticket. While waiting for the results, he meets a lonely old gambler. They become very sentimental and friendly, with Clark naively telling the old timer he was now part of the Griswold family. Unsurprisingly, Clark fails to win at keno and is heartbroken. Ironically, the old timer finally wins the keno jackpot, but passes away before being able to accept it. He gifts the winning ticket to Clark and his family with his dying breath. Vegas Vacation is all about atonement and cherishing our loved ones more than anything else. To sum the film up in one word... redemption. When I think of determination, I think of my brother Joshua. When I think of happiness, I think of my brother James. When I think of hope, I think of my sister Julie. When I think of redemption, I think of myself. Somehow, the four original Vacation films presented a theme that links us all together. How that managed to happen, I'll never know. It's just one of those weird things that happens in life, without need for an explanation. Just go with it, you know? 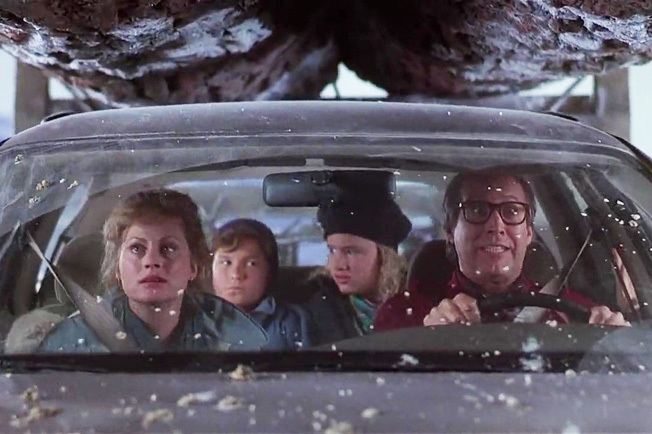 Now... let's get traveling down that Holiday Road!